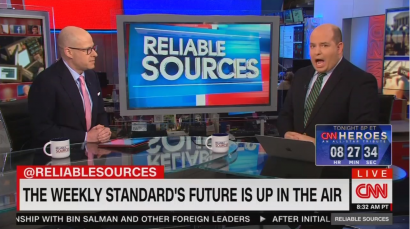 In the first segment of the show, Stelter was speaking with CNN political analyst and former Watergate reporter Carl Bernstein about the similarities between the scandals for former President Richard Nixon and President Donald Trump. “After you and Woodward exposed Watergate you said Nixon was a criminal president and it was a criminal presidency. Is the Trump presidency a criminal presidency,” he wondered. I think it's very obvious that there has been a criminal conspiracy led by the President of the United States to obstruct justice. It's hard to see otherwise in the filings that have been made public thus far. But on top of that, we also know that there is criminal behavior by Donald Trump in the Southern District of New York case in terms of ordering the payment or approving the payment of hush money to Stormy Daniels and another woman that Michael Cohen testified about. Stelter was up in arms because six people had shifted from working at Fox News to the Trump administration and vice-versa (including National Security Adviser John Bolton who had a history in government). “This merger, it is effectively a merger, may be good for Trump but not America,” he spat. It’s the continuation of a lie CNN has been telling their viewers for well over a year now. The network insists it’s unusual and unprecedented that an administration would hire so many people from a friendly media outlet. But back in reality, President Obama had hired 30 journalists to fill out his administration. 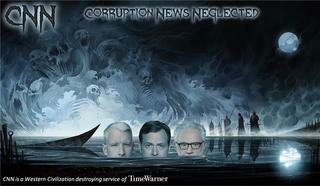 CNN decried the revolving door but they had a number of their personnel make that journey through it. Stelter also was upset with Nauert’s supposed lack of qualifications for the job. That snipe came from the guy who was given a TV program just six years out of college. That could explain why the program is conducted like one expects a college paper to be. CNN tries to make the U.N. seem like a serious organization, but just last week they failed to condemn the Hamas terrorist group for launching rockets at Israeli civilians. This is CNN. BRIAN STELTER: After you and Woodward exposed Watergate you said Nixon was a criminal president and it was a criminal presidency. Is the Trump presidency a criminal presidency? CARL BERNSTEIN: I don't think we know completely yet. I think it's very obvious that there has been a criminal conspiracy led by the President of the United States to obstruct justice. It's hard to see otherwise in the filings that have been made public thus far. But on top of that, we also know that there is criminal behavior by Donald Trump in the Southern District of New York case in terms of ordering the payment or approving the payment of hush money to Stormy Daniels and another woman that Michael Cohen testified about. The purpose of paying that hush money was to defraud voters, to make voters unaware that this crucial matter of character that Trump had paid these women for their silence would never be revealed while their campaign was on. So in that sense, there also is the prima facie evidence of a criminal president. But the connect-the-dots aspect of this, this massive obstruction. What is this obstruction about? It is about Russia and all things Russian and that is what Mueller has been charged with. And the individual who the White House was aware of who came back saying they know everything ability Russia, this is about Russia in terms of what Mueller was charged with investigating. STELTER: Moving to Fox News and Heather Nauert, of course, the longtime Fox host and commentator who joined the State Department as a spokeswoman a year and a half ago she is now being nominated to be U.S. ambassador to the U.N. What do we do?! I mean, Max, this is  this is  she is not qualified for this job. Shes qualified for a lot of other jobs. Shes not qualified to be U.N. ambassador. What's your read on this? MAX BOOT: Well, this is the Fox-Trump nexus and it's hard to know where the Fox network ends and the Trump administration begins. STELTER: Let's put our graphic on the screen showing some of the folks that have gone from Fox News to the White House and vice versa. This merger, it is effectively a merger, may be good for Trump but not America. BOOT: Its not even good for Trump I dont think. Fox helps him to live in this kind of alternative reality bubble where they put up these alternative facts and he actually believes them. It's hard to know how much of this is the cynical and lying and how much of this being credulous. But it's quite possible Trump believed there would be a red wave before the November election. And its quite possible he believed the caravan really was this huge threat to America. And based on those assumptions he led the Republican Party in disaster in November and I think there will be further disasters for the Republican Party, for Trump, and for the American if he continues to believe this nonsense Fox News pumps out. 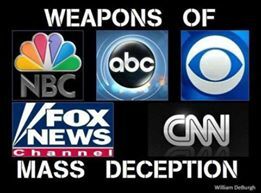 The MSM and the Deep State are running the biggest scam in American history and half the country believes it! Totally missed the criminal presidency of 0bama. Infuriating. 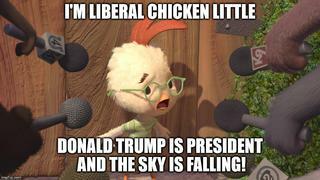 Little Brian must’ve been in a coma during both the Clinton and Obama presidencies. Little Brian mustve been in a coma during both the Clinton and Obama presidencies. He was busy playing George Costanza on Seinfeld during that time period. I find CNN’s lack of faith in the media disturbing. Such attacks on the First Amendment are what dictatorships are made of. I hope I live long enough to see the complete end of CNN. 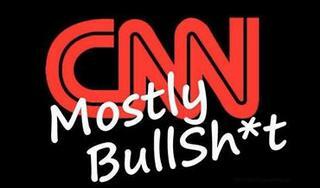 For the Commies at CNN, they busted their butts to get Hillary Clinton elected, they gave her the debate questions IN ADVANCE because they knew she was too much of an idiot to answer a question on her own..and CNN wants to talk about conspiracy..how about conspiracy to steal the Dem nomination away from Bernie Sanders(No bernie fan but he was screwed by the DNC and the commie media) isnt it a conspiracy for a supposed news network to collude with a presidential campaign to help her win an election isnt that a crime?? the alinsky attacks are coming from the troglodytes with temper tantrums. The whole point of all of this is to set it up as “the point” of conversation throughout the Holidays. They intend on beating this drum every day from now until Trump is gone or re-elected whichever comes first. Brian couldn’t get a date if he walked into a women’s prison with a fist full of pardons. Stetler had better assiduously avoid Uncle Benito’s Esso station if he doesn’t want to get fitted for a meat hook. CNN is coming to Town.